We’re extending the deposit period. Sign up soon! 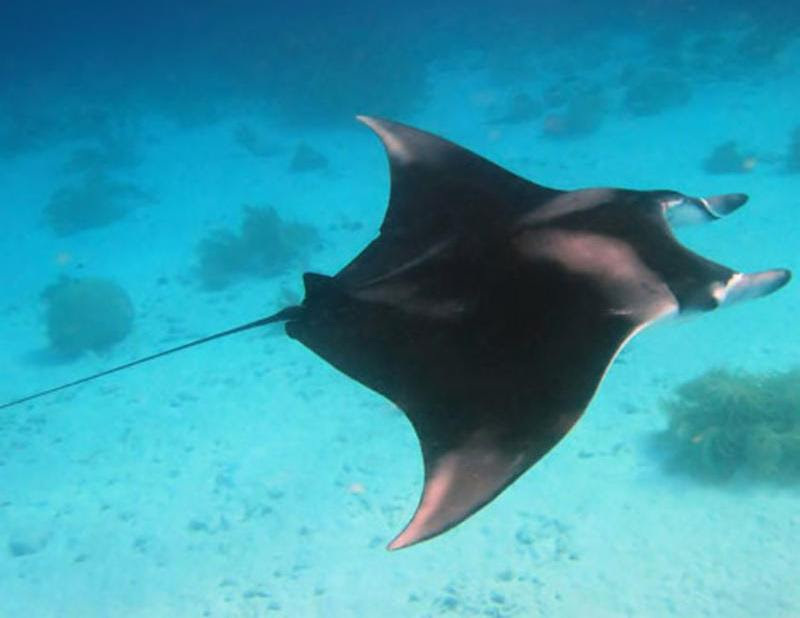 Includes a Night Dive Trip to Klein Bonaire! Join Divers Two for a week of superb tropical diving in Bonaire, one of the Caribbean’s top diving destinations and the perfect island for the Jersey Shore Diver! Bonaire has some of the best diving in the Caribbean with spectacular coral reefs, walls, and even a few wrecks. 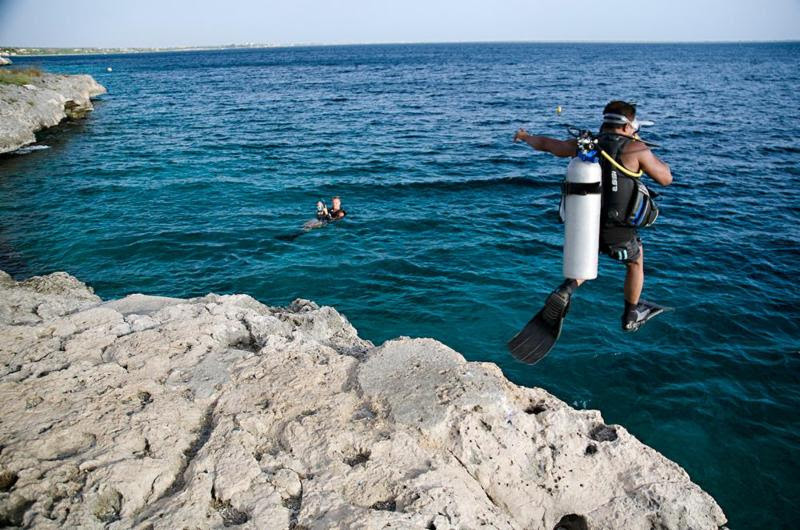 We’ve scheduled 18 boat dives, and will have guided shore dives available – both scuba and snorkle. We’ll be staying at Captain Don’s Habitat, which is a PADI 5-Star Gold Palm Resort. Total Diving Freedom has always been the concept at Habitat. 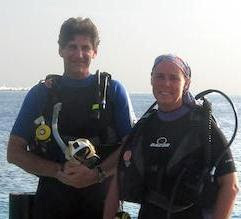 Over 50 world class dives are within minutes via a “drive ‘n’ dive” safari or boat trip. 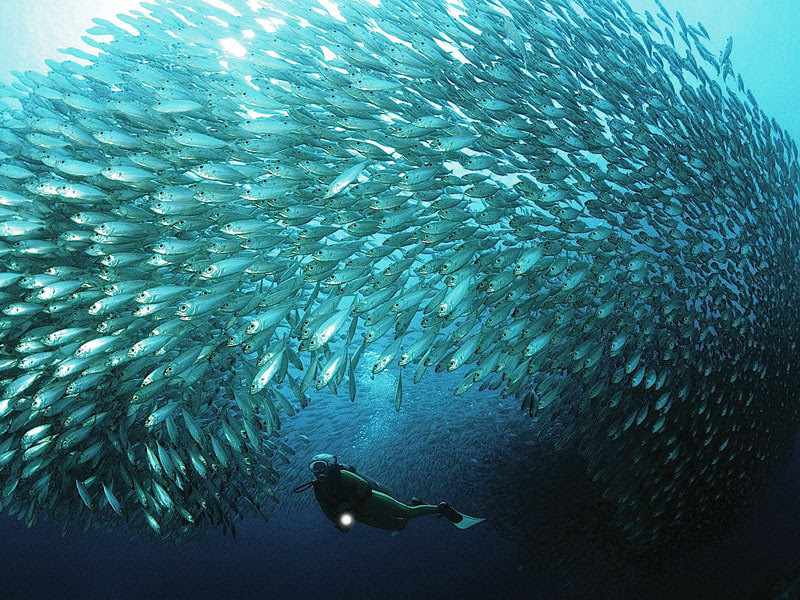 Diving Freedom means 24 hours a day, 365 days a year with no rush or anxiety. 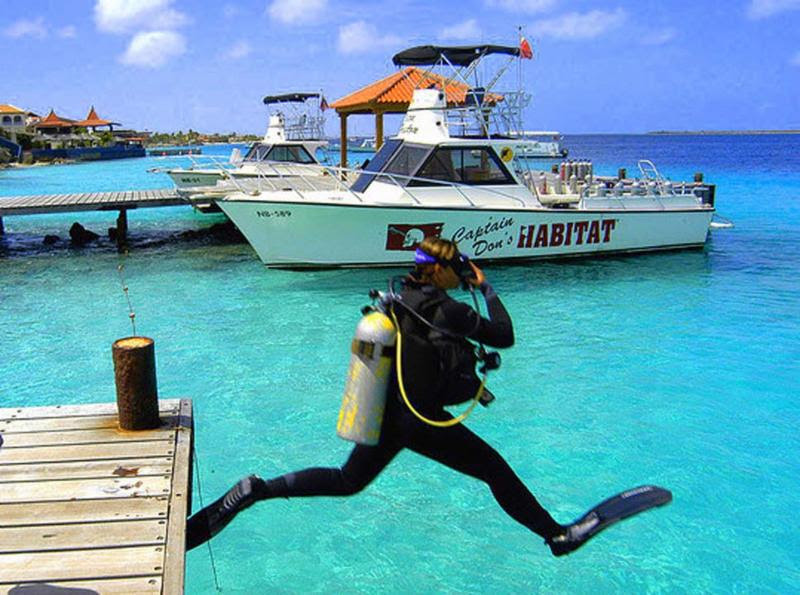 Bonaire boasts the best shore diving in the Caribbean, wonderful boat diving, and has been dubbed, “Divers Paradise!” Habitat is neither pretentious nor regimented. Their multilingual, multicultural, professional staff are there to teach, assist or advise in a relaxed and friendly manner. Whether you’ve been diving for years or are just starting out, Habitat diving is some of the best in the world. Lunches and dinners (other than the BBQ) on Bonaire are not included in thedivers package, but Habitat’s restaurant is sure to please, and the local dinning is great and priced to meet any budget! Your guides will be able to make some great recommendations. Habitat will put together an all-in-one meal plan for those that want this option. Your guides Dan and Terry Lieb. Our trip will include 18 single-tank boat dives (17 day; 1 night). Sign up for boat dives you want to go on the night before or first thing in the morning after breakfast. The boats leave at 8:30AM, 11AM and 2PM. Dive the various beach sites as you see fit. Your guides can make recommendations to give you a memorable and more rewarding experience. Jump in! Just 5 minutes from Habitat. *You may upgrade your room to a single occupancy, junior suite, bungalow, or villa. If you would like to upgrade your room or would like more information on the bungalow or villa, please contact us. Not included in the trip price is airfare and rental vehicles. 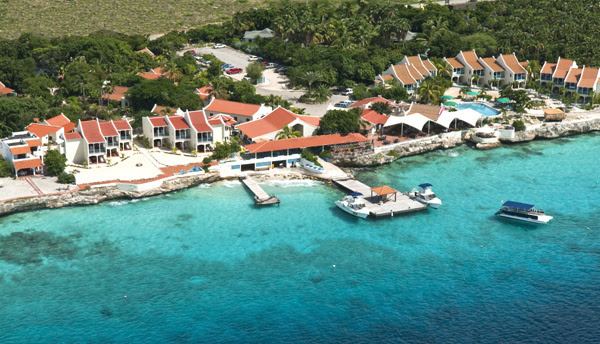 Also not included is the Bonaire Marine Park fee of $45. You pay the $45 fee right after the Sunday morning orientation. It went up this year, but 2018 prices are still available if you buy for park fee by clicking here to get the $25 rate. The date of our trip is Saturday, May 18th to Saturday, May 25th. Call the store if you have any questions or for more details on these arrangements. Airfare is not included in the cost. The suggested flight is United Airlines from Newark to Bonaire direct. We recommend booking as early as possible in case the flights fill up. Airfares to the Caribbean have gone up a little due to the recent storm activity. Get your airfare arranged ASAP! Some of us will be renting cars and trucks for the week to travel to different shore dive sites and site-see the island. The cost will be split among those participating. Reservations for this trip will go fast! Reserve ASAP! $500 deposits are being accepted now. All deposits due now!